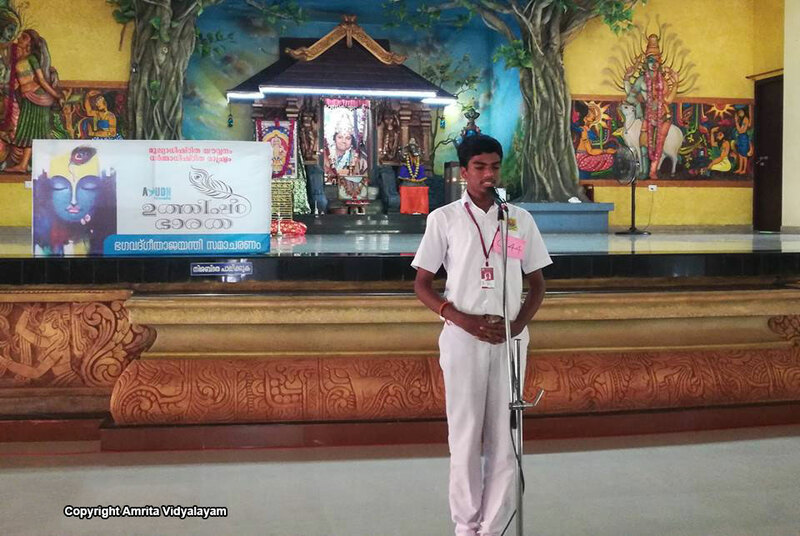 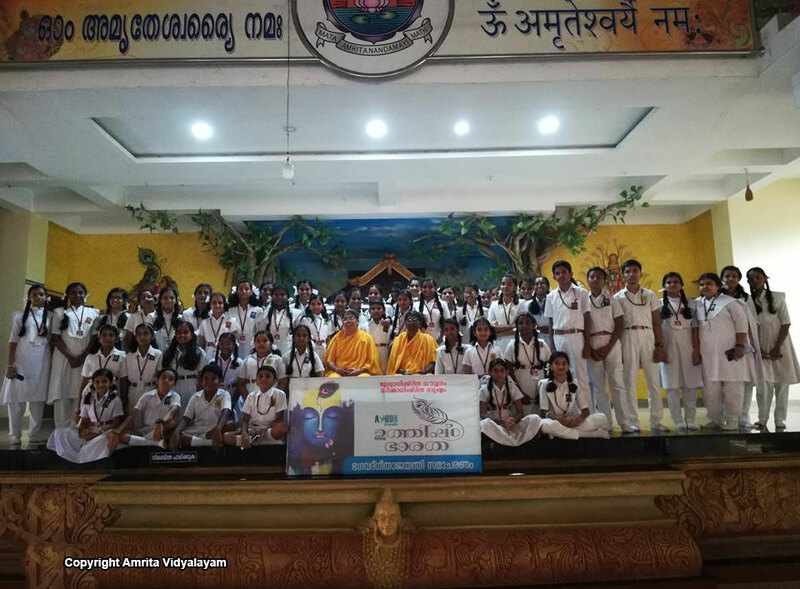 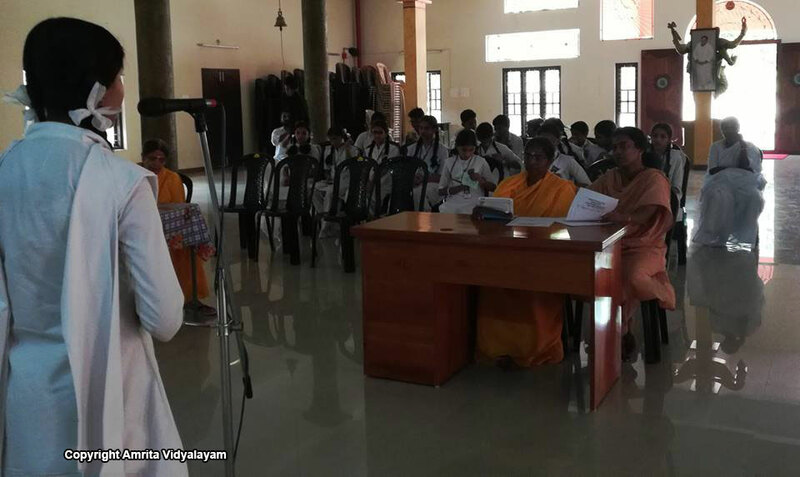 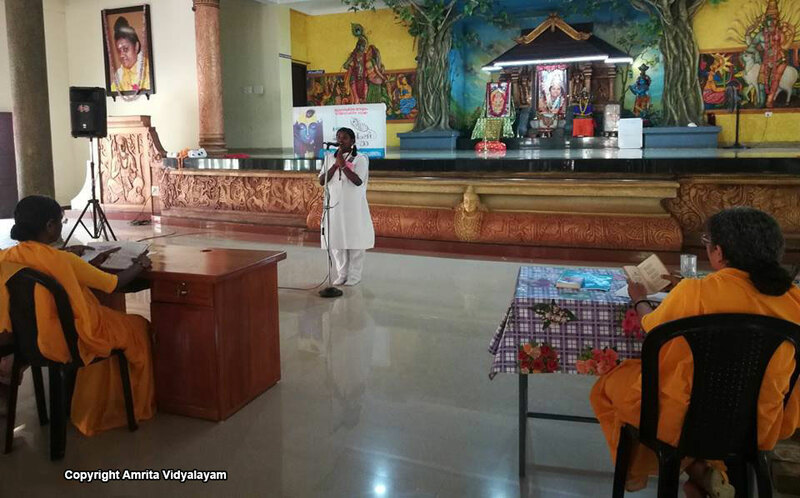 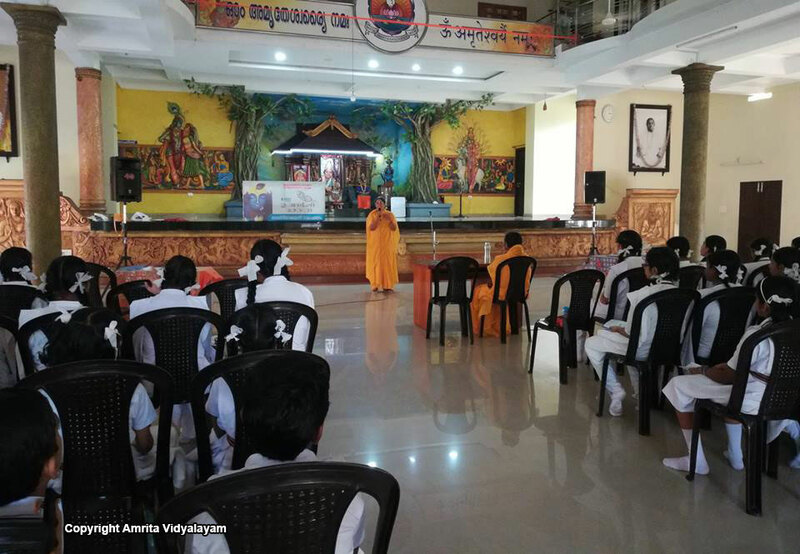 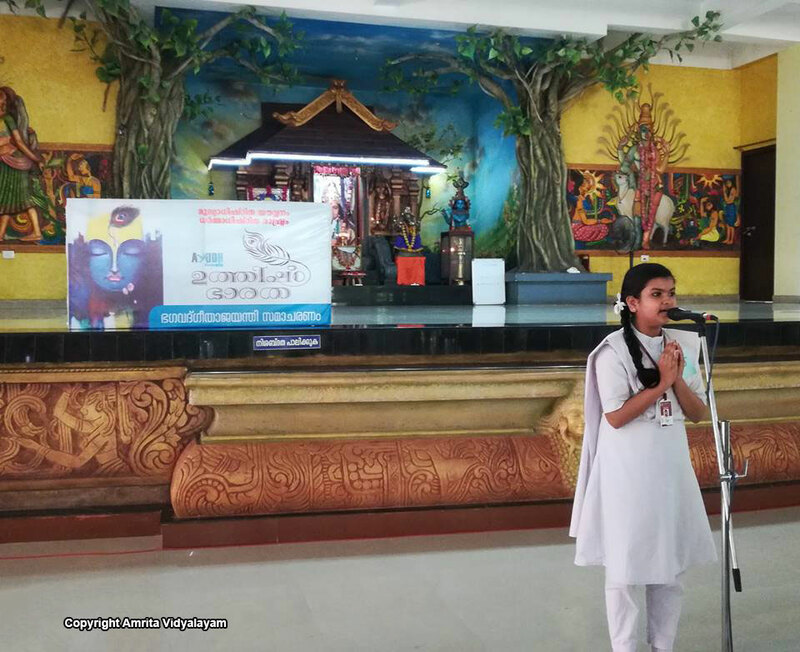 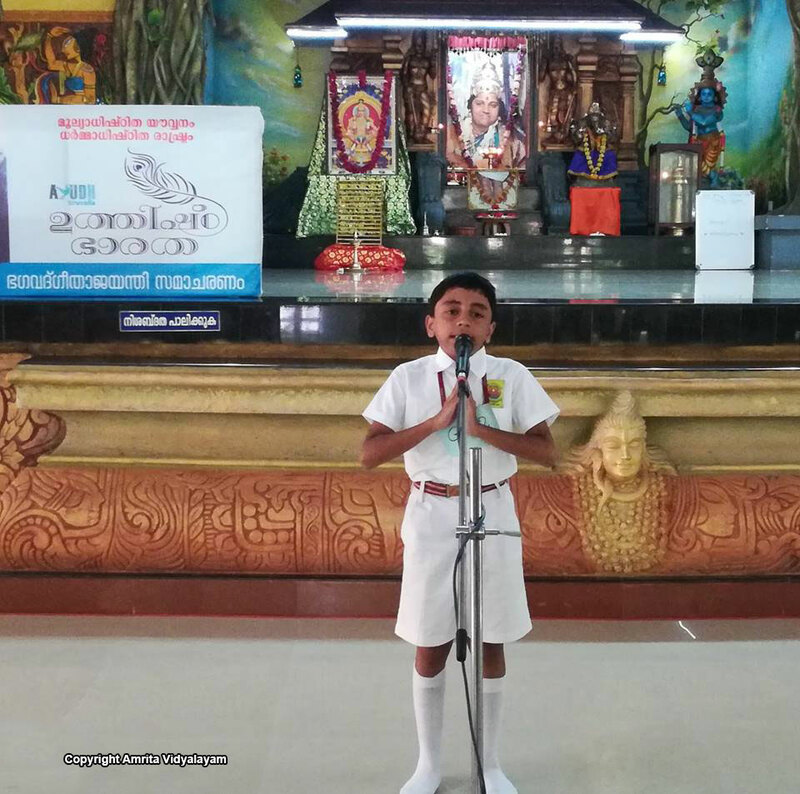 A Gita Chanting Competition was conducted at Mata Amritanandamayi Math, Thiruvalla in connection with Gita Jayanti. 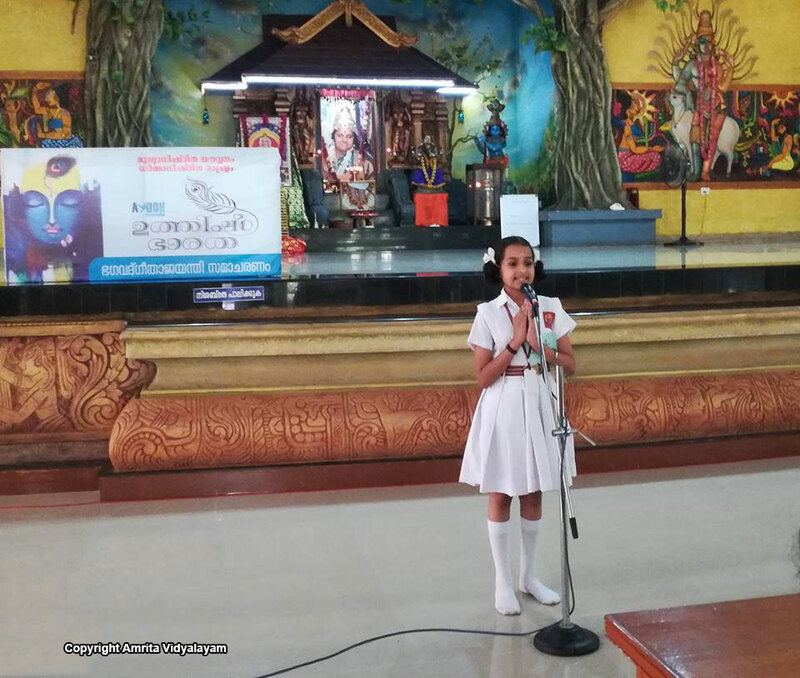 The competition was held in two categories, Category IV for classes V, VI and VII, and Category V for classes VIII and IX. 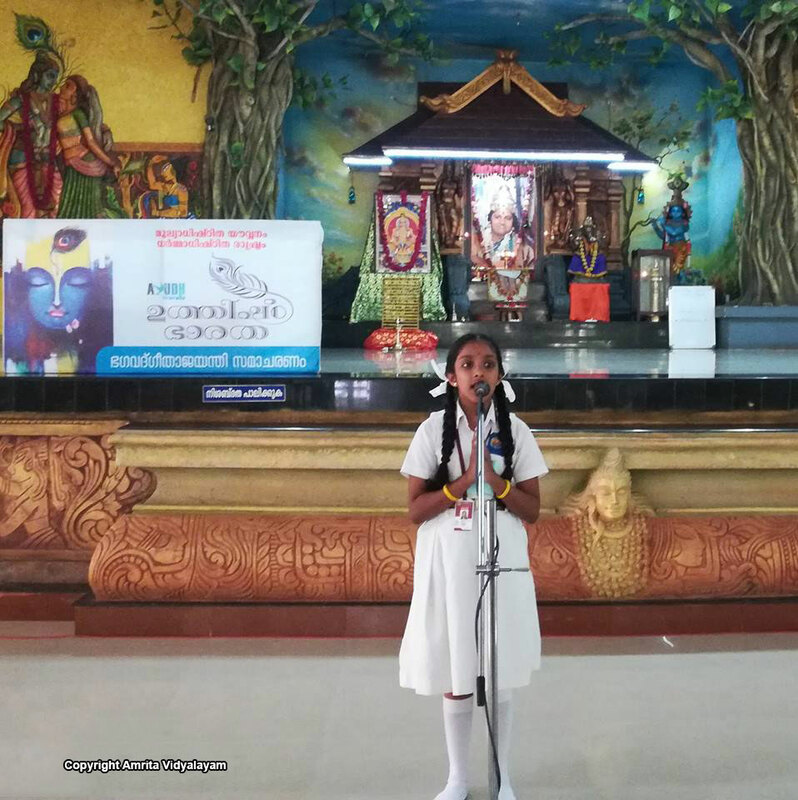 Bri. 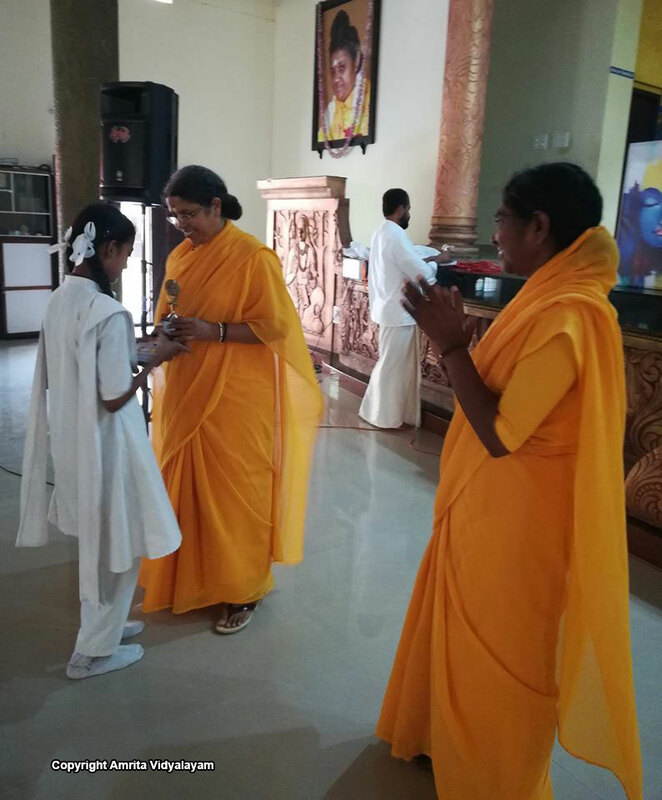 Bhavyamrita Chaitanyaji and Bri. 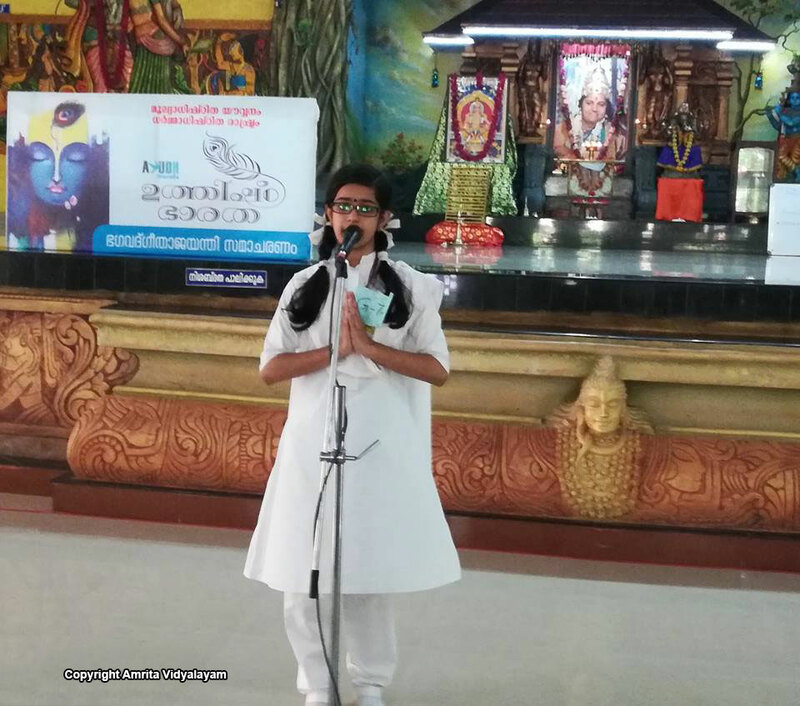 Nishtamrita Chaitanyaji blessed the event.